Four simple questions to determine your wine style preferences. Wow, four simple questions to begin understanding a person’s wine preferences. This is what I came away with recently while reading an article in Food & Wine by the magazine’s wine editor, Ray Isle. 1. Do you prefer whole milk or skim milk? For whole-milk drinkers, it was suggested that they might opt for bigger white wines, such as California Chardonnay. Skim-milk drinkers would opt for leaner whites such as Chablis. 2. 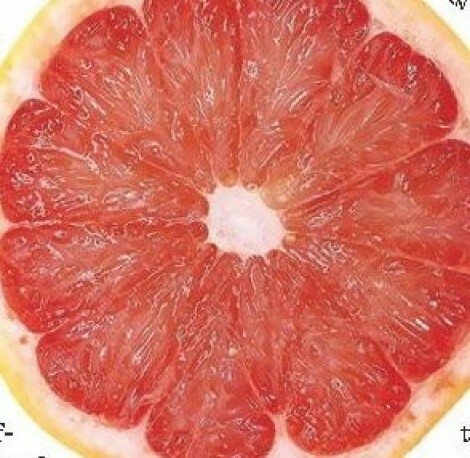 Do you prefer grapefruit or orange juice? Opting for grapefruit juice would lead you to Sauvignon Blanc and Riesling, while favoring orange juice puts you in the Chardonnay or Viognier camp. 3. Which would you rather have on a steak, cracked black pepper or béarnaise sauce? The pepper choice suggests you lean towards Syrah and other Rhone varieties. California Merlot was the choice for those liking béarnaise. 4. Which sounds more appealing, black truffles or blackberries? Truffle lovers should consider Old World wines, especially Pinot Noir. New World red wines such as Australian Shiraz and California Zinfandel were suggested for those opting for blackberries. It may seem overly simple, but with these four quick questions, I was able to get an idea of whether a person prefers a fuller-bodied wine with more alcoholic oomph or something a bit more restrained; whether a fair amount of refreshing acidity is of importance, or if a touch of sweetness is the key. Depending on food preferences, one might lean toward red wines with tannic structure, or instead, those that are a bit softer and easy-drinking. And the major factor of whether a person prefers the earthiness of Old World wines or the fruit-forwardness of those from the New World is incredibly telling and helpful. Those four questions are much more useful than asking someone technical questions about their preferences for alcohol level, acidity, residual sugar, tannins and such. If we hope to expose more people to the amazing world of wine, we need to speak about it in more interesting and meaningful terms. For those who want to delve deeper into the complexities of wine, we wine geeks are always there for you, but we need to make wine accessible for a lot of other people, too. Wine snobs have already lost much of Generation Y. After all, what sounds like more fun, a stodgy old wine tasting, or living it up at a local beer festival? We always say, “wine is a food,” so let’s approach it that way. Most people already know what foods they like, and, insofar as wine is food, the key is to understand which wines may fit a person’s “taste personality.” The quiz above is a great starting point. And, when people dare go outside their comfort zone, that’s all the better. Put it this way: The last time you wanted grapefruit juice and opened up the refrigerator only to find orange, was it the end of the world? Probably not. You just poured yourself a glass of orange juice and got on with your day. After all, it is all just juice ... and so is wine. Gus Magann is a partner at Vine Lore, Inc., a Utah-based wine and spirits brokerage.